Just three days after Union Minister for women and child development Maneka Gandhi warned Muslims of not getting jobs if they don’t vote for her, the BJP leader on Sunday made another controversial remark. While addressing a public meeting in Sultanpur, Maneka Gandhi said that the villages will be developed on the percent of voting done in favour of the BJP. She said the villages will be divided into A,B,C and D categories. “The villages where we get 80 per cent votes will be under category A, the villages in which we get 60 per cent will come under B. Those villages where we will get 50 per cent votes will come under the C category and villages where we get less than 50 per cent will come under the D category,” she said. “The development work will first happen in all A category villages. After work at A category regions is done, then comes B and only after work in B is done, we start with C. So this is up to you whether you make it to A,B or C and no one should come in D because we all have come here to do good,” news agency ANI quoted the Union Minister as saying. 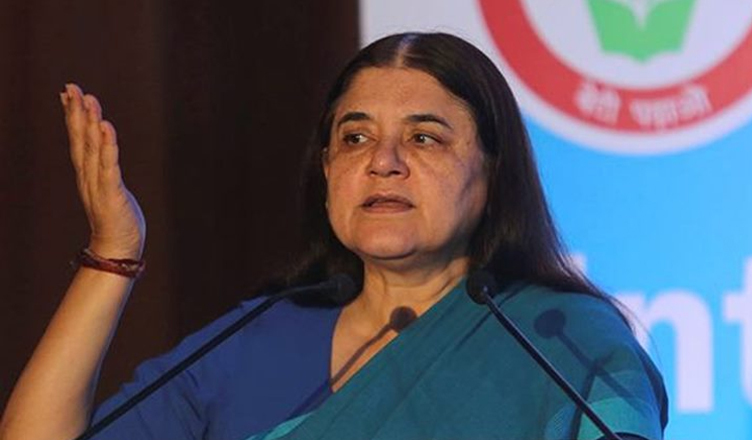 Earlier on Friday, while addressing a rally in Muslim-dominated Turab Khani village in Uttar Pradesh’s Sultanpur, Maneka Gandhi said that she is winning the elections but she would be upset if Muslim don’t support her. “I am winning the elections because of your love, but I will be upset if Muslim don’t support me. My feelings get hurt. If Muslims then come to me asking for work, then I will think let it be, how does it matter? After all, a job is a deal,” she said. It clearly came out as a warning to all the Muslim voters in the region that if they don’t vote for her, they will have a hard time later.